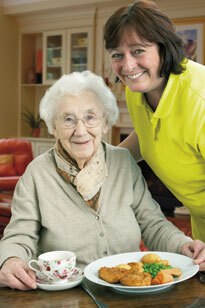 Deer Park Meals on Wheels is a well-established business also run from Deer Park Care Home. It employs a bank of experienced kitchen staff that prepare a hot, home cooked meal daily. All meals are prepared fresh on site in our specially equipped kitchen that is fully compliant with local authority standards. Our dedicated team of drivers can deliver a tasty and nutritious meal to anyone living in Holsworthy and the surrounding villages and areas.